WordPress is the most stable and widely used Content Management System. People belonging to different fields of Arts, Photography, eCommerce, Real Estate etc… is showing their portfolios by uploading their work on websites. When sharing these images and other forms of content online, there is a greater risk of theft from the websites. This prevents individuals from sharing images and their information on websites and online platforms. Plugins that have the ability to disable right-clicking on the images. Plugins stop others from hotlinking the website’s files by placing .htaccess in the root (main) directory. (For more information, see How To Stop Image Hotlinking with .htaccess. Following are the WordPress plugins which help you to prevent images to download from your WordPress powered website. Prevent Content Theft also known by the name disable right click plugin, does not allow users to copy content or images through right clicks on your WordPress websites/blogs. This keeps the data safe and ensures users that their content may not be used somewhere else. RCD-Right Click Disabler is a simple plugin that aims to protect content from being copied. Apart from content, the plugin also protects the website codes from being copied. Disabling right clicks, image selection, and text copy paste are some of the options that the plugin uses. 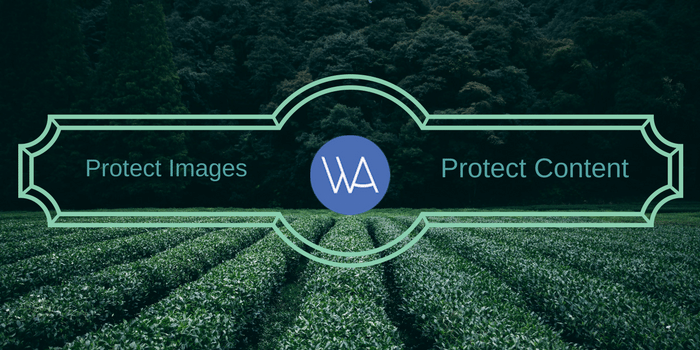 WP Protect Content functions to protect data from visitors on your website. The plugin prevents users from copying, cutting or pasting data from the website. The plugin disallows the use of right click on the text which makes your website safer for public views. 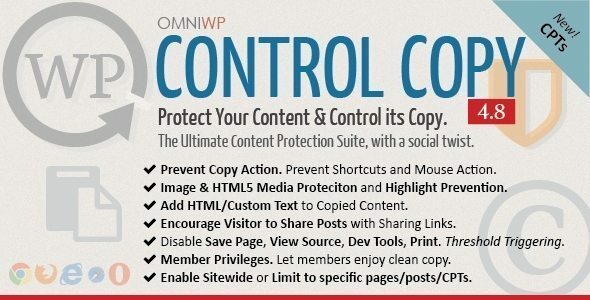 WP Control Copy – Protection Content & Serve Copy plugin has been designed specifically to enable copyright and protection control on the content of websites. The plugin allows limited access to content to prevent visitors from copying texts and images. If you have an established blog with original content posted on a regular basis you too may be a victim of the lame and lazy. There may be many other ways to stop content theft from WordPress blogs, but I have found the easiest for me is to add little something to each new post. If you are a regular reader, you may have noticed the small copyright disclaimer on the top of all new posts now. Something that I’ll admit looks terrible but has stopped several lazy content thieves from using my posts on their spam blogs. What I have started doing is adding a copyright disclaimer to the very beginning of each new post and in the excerpt. But I only keep it there as long as the post is the latest. As I make new posts, which hasn’t been very often lately, I take the copyright disclaimer off the last post and put it on the newest one. This content feed is for personal, non-commercial use only. The use of this content feed on other websites breaches copyright. If this content is not in your news reader, or on any other site than wparena.com it makes the page you are viewing an infringement of the copyright and the owner of the site a thief. Once I started using the copyright disclaimer the content scrapers stopped immediately. Now that I scared them off I think I will test the next post without the copyright disclaimer and see if they are gone for good. We recommend WordPress based website owners to disable right-clicking and make sure to protect their content by watermarking images, obtaining a creative commons license or having an Information page about their copyrights. I read your article from top to bottom and understand the importance of quality content security. It is a severe issue nowadays. And protect to our website content is our main priority. We all know scrapers keep eyes on our unique and qualitative content. But not an issue we can fight against them cause your given information will be beneficial to me and other bloggers too who always been worried about there content theft. It is good news for WordPress bloggers. And after reading your article, everyone can try one of the listed plugins. Thanks for your comment, sure it’s one of the most time taking issues on WPArena too. However, we have put a number of checks. Nice tips on protecting images on Website. It is big headache for bloggers. Unique images and content are very important for search engine optimization.